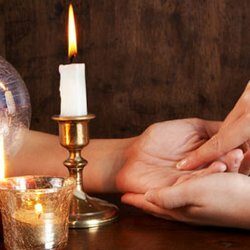 Whether a face to face / sit down / personal visit, or through a phone call, chat or email – we have our own reasons for seeking the help of a psychic. Our hearts know what intentions we had for setting out to speak to one and also what we hope to hear, what we hope to learn. Some people go to a psychic and have fun, some get into the habit of talking to a psychic, and yet some loath the experience. Experiences may vary but really, the majority of the psychic reading experience is your reaction. Are you prepared to hear bad news? If the psychic vision does not match yours, what then? 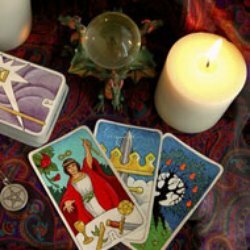 Below are things to avoid when setting out to talk to a psychic – these things actually are applicable in some aspects of life and not just to psychic readings. This tip can make or break your very first psychic experience, so it is critical that you keep an open mind while having a reading. Going in with doubts is not new, but do not close your mind entirely because it will generally give you a negative experience, where you’ll end up with more doubts and misconceptions about readings than when you started. Most people go in with expectations that are far from realistic. For example, they want the psychic to guess the lottery number for the following day or the name of their father’s cousin’s aunt. This unrealistic mindset will set the stage for the whole reading, and will definitely end up giving you a bad time.are things to avoid when setting out to talk to a psychic – these things actually are applicable in some aspects of life and not just to psychic readings. Remember, you don’t like it either when people have unrealistic expectations towards you. Don’t look for super specific information. Just like coming in and having unrealistic expectations, looking for very specific information can be a negative thing just as well. Remember that your reading is meant to help guide you in your journey in this physical realm, so you may get helpful information, but not necessarily the nitty-gritty. The future is not a yes or no thing – as your own future does depend on you and the choices you make. 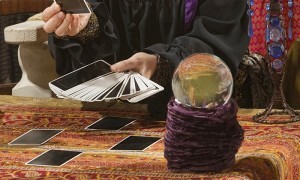 A psychic may be able to predict up to a certain point of your life that would come to an outcome however, when you do get to that certain point in your life and you make a decision otherwise, it then changes the outcome. Listen to all messages, even those you don’t like to hear. Most people are guilty about this mistake, although they do not really do it on purpose. We do not just do this for psychic readings, but also do this for many aspects in our life, as we tend to shut ourselves from things that we do not want to hear. Most of the time, we already have preconceived notions about things. While there is no problem with setting specific questions, what is wrong is when you ignore messages that you hear because they are not in line with what you really want to hear. So there you have it. First of all, if it is your first time – treat it as an experience, a good one. You get to consult with another person’s perspective at the very least. It can be fun, even enlightening. The bottomline is, not everything we ought to hear is what we want to hear, because if it was, there would be lesser problems in this world, wouldn’t it?